Harriet Fish Backus provided us with fascinating glimpses into an era long gone in her classic book "Tomboy Bride." 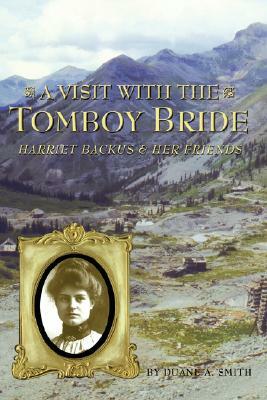 In "A Visit With the Tomboy Bride" the well-known Colorado historian Duane Smith gives us a further look into her adventurous life at the Tomboy Mine, high above Telluride, Colorado. Harriet wrote to Duane after he reviewed her book in 1970, starting a correspondence that continued until her death. The result was a potpourri of Harriet Backus' life and those of some of her friends at the Tomboy Mine. Smith's book is an exciting trip into a wonderful vista of times gone by, a story of an amazing woman, and the tale of an adventuresome life above timberline in the rugged San Juan Mountains of Southwestern Colorado.